Home » Climate Change » Advantages and disadvantages of renewable energy. Is renewable energy really environmentally friendly? No single energy source is perfect according to these three angles. Below the advantages and disadvantages of specific energy sources. Wind energy releases no during its life cycle carbon dioxide. There is no need for fuel. Hydroelectric energy is usually no climate or environmental impact. Provides a stable electricity and large scale generation. Works as a power of regulation. Hydropower plants have a long economic life. The hydroelectric plants involve a major interference in the landscape and affect ecosystems. Large investments are required to build a hydroelectric plant. Solar energy has decreased its costs, thanks to his high public support and its low-emissions. Combined with energy storage and smart software solutions, solar energy becomes a reliable and cheaper energy source. An unlimited resource, unlike fossil fuels. Solar systems are easy to install and require very little maintenance. Systems of solar cells have a long service life – about 25 years. Solar energy is a battle of intermittent power – electricity production depends on the brilliant Sun. The light of the Sun varies depending on the location and the season. The forecasts are more uncertain than fuels fossil (but better than the wind). Not adjustable and low combination between production and demand – the Sun produces most in summer, while the electricity is most needed in winter. Biomass is a stable source of power with geographically well-diversified assets and little political risk. Using biomass in the production of electricity instead of fossil fuels, CO2 emissions are considerably reduced. If the biomass is well handled, she is long-term carbon neutral. The use of biomass to produce electricity is currently more expensive than the use of energy sources such as coal, gas and nuclear energy. Currently, we use polluting energies that will dry up shortly as oil and gas. So going to further develop renewable energy to continue to enlighten us, heat our homes, operate the various engines and many other functions yet. The benefits of renewable energy are many because they are generally clean, safe and especially renewable. Using them in the majority, we would find a stable climate, economic, environmental and social, especially by developing large thermal plants. Safety is one of the main benefits because there is a very low risk of an accident. They also generate little waste, which can even be recyclable. The decentralization of renewable energy is also a decisive factor that is very important to develop some territories and local development. The labor market regarding these energies represents almost one million two hundred thousand jobs especially in solar power, wind power, and biomass. These energies the environment during their manufacture, their functioning and their end of life, when their. A hydroelectric plant causes the sinking of the valleys and may rupture. Currently 18 000 victims on the planet, including 2,000 in Europe. Biofuels are very expensive for the transformation of raw materials and their transport. The wind is still now, a local production. In all cases, all renewable energy reduce CO2 in the same way that energy not renewable they are supposed to replace. They are also issuing for some greenhouse gases. To summarize, these renewable energies to significantly reduce CO2 emission. They would either dangerous radioactive waste generated, and their resources would be infinite thanks to the wind, water, and Sun. Studies claim that, in theory, the planet could be entirely powered from renewable energy by using only a 500 000 km square comprising solar panels. This surface is about that of Spain. This vision produced by renewables is appealing a priori, but she hides many disadvantages. In general, it assimilates renewable clean energy, and it is not necessarily the case. Clean energy does not pollute, or its harmful effects on the environment will dissipate very quickly. Renewable energy, therefore, is not necessarily good for the environment. It can be seen that they contribute to deforestation, reduction in biodiversity and pollute with soot they radiate or dioxin, Nox, etc. Solar renewable energy is not always available, because the Sun disappears the night and for several months when one approaches the poles. When the intensity is too high, the solar radiation is responsible for the reduction of the clouds. If the atmospheric pressure is insufficient, the wind does not blow. If it does take into account the reduction of gas emissions, renewables are a real solution to combat the warming of the planet. With more and more giant wind turbines, Visual pollution begins to be felt. Hydroelectric dams also have far-reaching implications for the environment. The local ecosystem changes sharply, the valleys are flooded, the fish cannot migrate, and certain breeds of fish are in sharp decline because they can no longer reproduce. Wind turbines are also a great danger to wildlife. A wind turbine kills about one in three birds per year, but the essential mortality risk is for the bats. The disadvantages of renewable energy are enough. Can thus be noted that there is a lack of availability for some, others are partly responsible for global warming, others still are struggling to integrate to the landscape. These same energies have a significant impact on wildlife. Their availability depends on the climate. For those solar-powered, it is possible to use only 50% of their actual capacity in the equatorial areas and even less because of the disappearance of the Sun for several months in the poles. Also, when the sky is cloudy, solar radiation is lower. During anticyclonic periods, there is no wind. This energy is not very stable. The responsibility for climate change to renewable energy is a major drawback. They are often presented and admitted for precisely this problem, but to make it really should be considerably reduced consumption of fossil fuels such as oil, coal or gas and better control of renewable energy to save more. The Visual impact on the landscape is to take into account especially during constructions of large solar plants or wind farms. This decentralized production would help to reduce the number of power lines. They remain pollution to wildlife. Also, already experiences in some countries show they help the growth of these same lines. The major problems for wildlife are hydroelectric dams because they fill entire valleys and have a substantial negative impact on the ecosystem. Fish cannot migrate to their breeding grounds even if the fish passes have been built. Wind turbines are a danger to birds and bats. Whether by the Sun, wind or sea water, renewable energies are used to produce single energy: electricity. Currently, industrialized societies do not consume power as energy. In our country, this last is 24 percent of our total consumption. Oil occupies an essential place with 42%, then come to gas and coal. We can already know that renewable energy could replace the gas, for example, heating, but for oil, in the current state of things, it is not possible because of the road and air transport. Thanks to these energies, electricity is more durable, but the problem is only solved a quarter when we know that oil represents only half of our consumption. Renewables are believed to be clean, but the reality is entirely different. Wind turbines and solar panels emit no CO2, but their production is generating. To make these tools of energy production, extracted raw ground, then transport parts and materials on places of Assembly to assemble them. During this time, we use oil in a quantity that generates a lot of CO2. Although renewable produce less pollution than fossil fuels, they are still far from clean. For example, the solar panels produce ten times less CO2 than gas and 20 times less than coal or oil and its derivatives. The feasibility of renewable energy is quite complex. Even if they are less polluting regarding greenhouse gases, they are the cause of many problems to generalize on the planet. They cannot substitute for the consumption of oil used in transportation and industry. As well, they are still very intermittent in major countries, because they are not sufficiently Hydro or nuclear material to stabilize their production. So it seems unthinkable for a major industrialized nation to substitute fossil fuels by renewable energy in a sustainable way. A project can see the light of day; it should be significantly energy consumption current especially in transport to limit the use of oil. To do so, should find an alternative to vehicles of individuals, individual heaters and reduce the energy needs of the various industries that are very energy-intensive. Check this link right here now to learn about Peak Oil Theory. All individuals, businesses, industries, and other communities have subscription electricity and gas with an electricity provider and traditional gas. 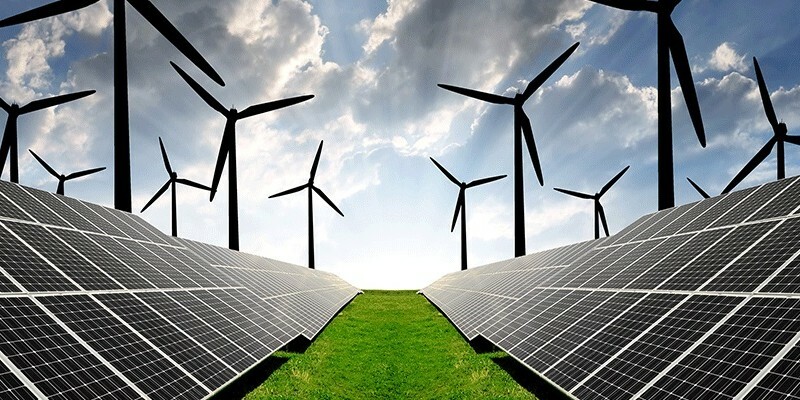 At present, renewable energy diversification and appear everywhere in the four corners of the planet, because humans are becoming aware that fossil fuels are not inexhaustible resources and that some of they are partially dangerous for the Earth. More electricity and gas rates are more expensive although we often find a supplier of green electricity more attractive contracts. Renewables are perhaps a partial solution for the future of humanity and the planet. Even if they are currently the most promising solution on the environment and ecology, they are also less catastrophic than fossil fuels which will have no future in a few decades. These renewable energies are the transition that we know and master. They seem inevitable, but not necessarily viable such as we know under control them these days. We must not only invest in solar today to build more tomorrow and consume at the same time less than energy. To make them more efficient, should humanity creates fewer needs in this area. So are a nice change for our future or one of the utopias of tomorrow? To each of us to share things.